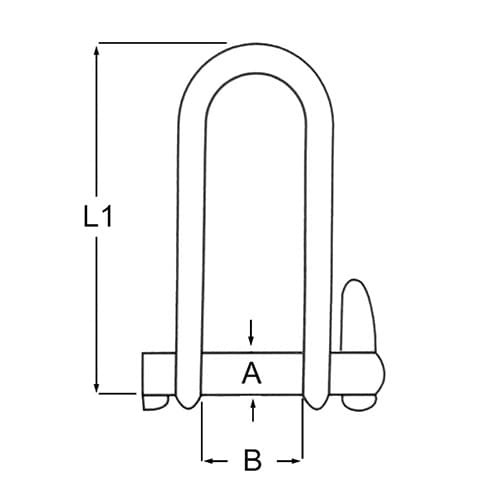 Stainless steel D shape key pin shackle, opening and closing is done by simply rotating the pin half a turn, suitable for highly corrosive marine conditions. 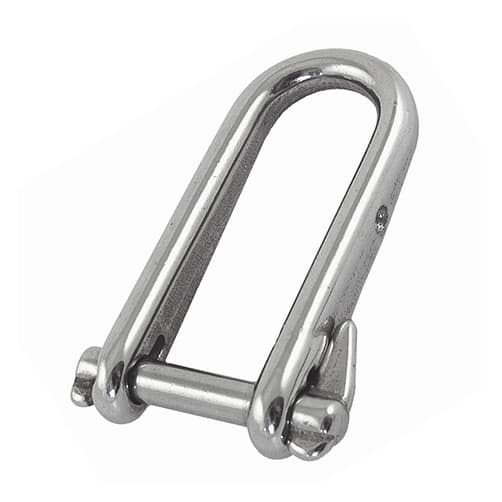 Durable 316 grade stainless steel construction, ideal for marine, architectural and decorative uses. Should you require your D shackle tested, certified and marked with its Safe Working Load (SWL), please call us and this can be arranged. If you require our shackles tested & certified, please contact us on 01302 752 504 and we will be happy to carry this out. They will comply with lifting equipment regulations.